Sorry folks! I just got called into work again!!! AHHH! I’m going to replay Joe the Mason’s episode 73: Gardening CrossFit on the Banks of the Penobscot River | Joe The Mason | Orono, Maine last year as it’s a great one and I’ve been meaning to do it anyway just haven’t had time to record at all?!!! Joe The Mason started out as a listener who connected with me on Facebook and I was able to convince to come on as a guest! He shares some amazing knowledge for a new gardener, but because he is both inquisitive AND a man of action he has taken some great advice from the experts at the local University of Maine, applied them with gusto and is quickly becoming a master gardener in his own right! For June well, and now into July, my contest is going to have a great new prize! 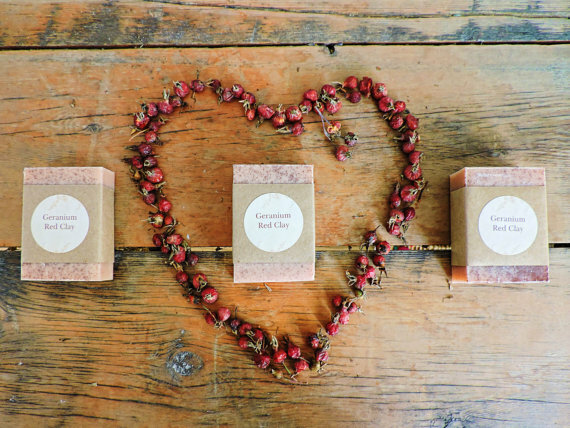 A healthy fabulous bar of soap from Simply Josephine! There’s Geranium Red Clay, Lavender Oatmeal, Lemon Eucalyptus, and Lemongrass Cornmeal! So four winners can each win a lovely scented bar of Dacia’s wonderful handmade soap. So if you would like to win one of the samples all you have to do is go to iTunes and leave an honest review for the podcast so that more listeners can hear from the amazing guests and learn how to garden using earth friendly techniques! Once again I’d like to thank the wonderful winners of May’s contest and to Nutiva, Mary’s Gone Crackers and Numi Teas for donating their delicious and wonderful organic products for listeners! AND MOST OF ALL THANK YOU ALL FOR LISTENING and helping make our planet a nicer place to live!